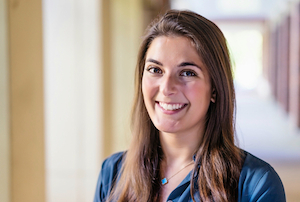 Alexandra T. Evans is an Ernest May Fellow in History & Policy at the Belfer Center for Science & International Affairs and a Ph.D. candidate in History at the University of Virginia. Her research explores U.S. perceptions of threat and change in the international system, with a focus on late Cold War strategy, the Middle East, and the use of force. In addition to her academic work, her writing has appeared in policy and public outlets including War on the Rocks and The Washington Post. She holds a MA degree from the University of Virginia and a B.A. with honors from Vassar College. Dissertation in progress: "Reagan's Middle East: Lebanon and the Evolution of U.S. Strategy, 1981-1985"